How to Define the "New Normal"
4 years 10 months ago	#46406 by Flamenco. You are going to have a great life! But as George says, with a better inner awareness. You will find that you have a better appreciation of things that many people just take for granted, and can prioritise the important things in your life better than you did before.You will probably suffer fools lightly (hence your remarks about stupid/typical 20s things), but don·t be too hard on them, enjoy life, do lots of things that take your mind off the c word, and never miss a check-up. Sounds like you're doing fine with the "new normal"........being you. Cancer doesn't have to be a topic of discussion everywhere. You'll have plenty of those "stupid/typical 20's problems" to deal with yet. Glad to hear you are correctly informing family and friends of the adventure. The only 'new' will be when you have to slip away for those checkups and/or treatments. Do that with vigilance. Good luck on the next scope, and we'll be looking for an update. Don't feel bad getting responses from the old farts. From your request for young, they have been there-done that too. Someday you'll be one of us. You don't have to pretend to be normal because you are. My niece had breast cancer about the age of 28. she had a lumpectomy ,and chemo. She lost all of her hair . She also lost her Dad ( my brother) a year later to lung cancer. If you met her at a bar and she was complaining about her boss, in your head you would be thinking big deal I had bladder cancer. Not having a clue that she had had breast cancer and chemo herself. 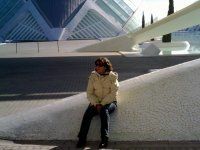 Life is for living whether you are young or old. She made the choice to get busy with living. She is a runner and very active. What I am trying to say is we never know where other people have been they might have a worse story than us. Thank you all for the advice, it is really helpful and I very much appreciate it! I'm getting through the days (been very busy at work) and I'm looking forward to the charity event on Tuesday - it's actually been a good way to tell people about my diagnosis and raise money and awareness for bladder cancer! 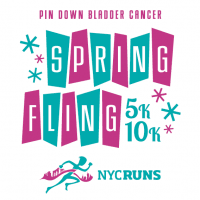 Participate in a 5K/10K in NYC for bladder cancer! Last edit: 4 years 10 months ago by vball88. The new normal. Great question. Your new normal will be like your old normal. Only with more inner awareness. I am a 18 year old trapped in a 59 year old body. I have a work schedule that many of my 20ish employees can't handle. 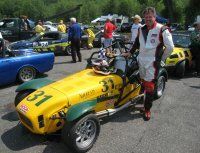 I ski, play golf, race a car and will NOT let this cancer rule my life. Don't let it rule yours. You will work, and socialize as you did before. Only you will have so much more awareness than before. You now know how fragile life can be. Revel in your life and you newfound second chance. Others don't need or want to know.. But from now on, you are a "survivor". A member of a lucky class..
You will live a long life. Enjoy it. You have been given a great second chance. You can share it with others if you choose. It's your own secret. You will date. You will continue to be a young social being, going places,and looking to the future. Thanks for visiting this site. Come back anytime you want to rant or tell a story.. But don't let cancer rule your life. You won't forget it. You don't want to. Just get on with LIVING. Hi there and welcome. My husband was diagnosed 18 months ago. I remember the day we first found out, we were both in shock and felt physically ill. But, as time passed things got better. You adjust to the " idea" of it and really enjoy the good times between checkups. You cannot dwell on it, just keep up with your checkups and live life fully! You caught your BC early and are at a good medical facility. All positive:) we are here for you any time you need to vent.